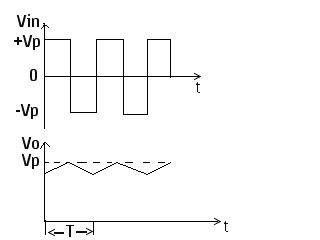 Square, triangular, sawtooth, and pulse waves are typical examples of nonsinusoidal waveforms. A conventional ac voltmeter cannot be used to measure these nonsinusoidal waveforms because it is designed to measure the RMS value of the pure sine wave. One possible solution to this problem is to measure the peak values of the nonsinusoidal waveforms. T=time period of the input waveform. where Rl is the load resistor. 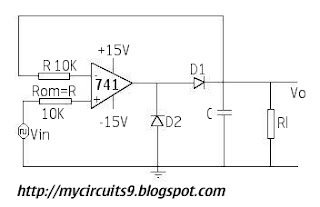 What are the applications of a peak detector?